Have you ever wanted to or tried to retrofit an LED strip light into a T5 fixture? We have but the outcome was not a plug and play solution and the appearance of the fixture was not optimal. Well, if a hybrid T5/LED fixture is what you are looking for then Euroquatics has the solution for you. With this light you can now add LED lights to your existing T5 fixture or you can power them up with a traditional electronic aquarium ballast. No word on the pricing and PAR numbers yet but what we do know is that these individual LED tubes will put out more PAR with less power consumption than T5 HO lamps. Read more about them below in the Euroquatics Press Release. [Aalsmeer, Netherlands – September 29, 2015] Euroquatics, a wholly owned subsidiary of horticultural lighting giant Gavita Holland, and Transcend Lighting, the world leader in LED grow light technology, teamed up to announce the launch of the E5 aquarium light lamps. With numerous capabilities and features, the highly efficient new lamps can be used in place of traditional T5HO lamps. 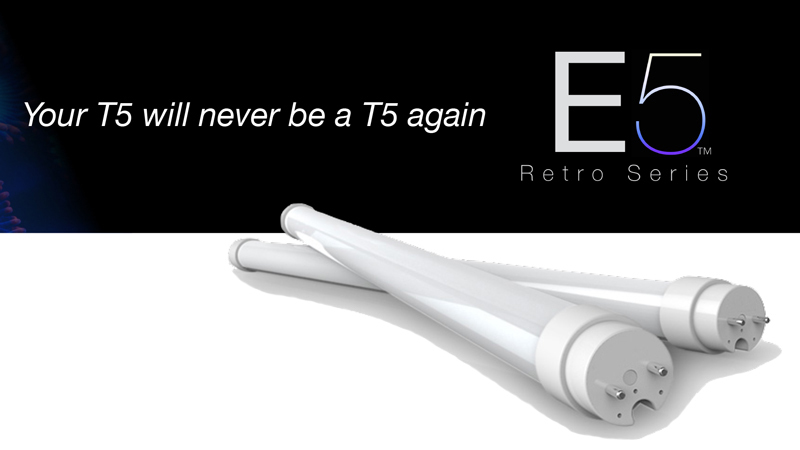 The E5 is designed to work in sync with original T5HO fixtures. These unique products showcase features that create an eco-friendly, longer lasting aquarium lamp. This new spin on an old design makes T5s a product of the past. With its sleek design, the E5 is made to last over five times the lifespan of an average T5HO lamp while consuming about half of the power. T5 lamps are comprised of toxic materials that could be extremely harmful to the environment if broken. In addition to a decrease in power consumption, the E5s are made to the highest industry standard from highly recyclable materials. These custom-phosphor LED technology lamps are RoHS, (Restriction of Hazardous Substances), compliant and do not contain mercury or other toxic materials. 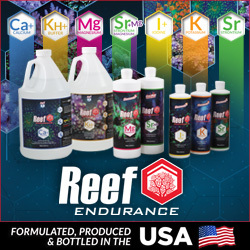 Euroquatics plans to introduce the E5 at the upcoming indoor marketplace for aquarium hobbyists of all types, Reef-a-Palooza. The lamp will be available in limited quantity through Marine Depot and will make its way to other outlets in December. Thanks for the mention! We are so excited to try these over one of our office tanks!! !